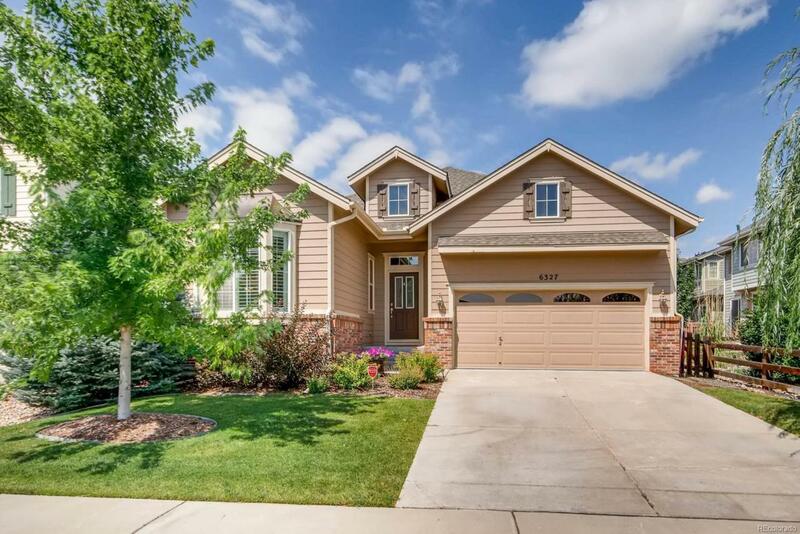 Welcome to this beautifully appointed home on interior quiet lot, located within easy access to walking/biking trails at Cherry Creek State Park.. Cherry Hardwood floors in entrance hall, dinning, living, kitchen and eating space, bedrooms have new carpeting. Granite Counter tops with custom Cabinetry arranged with a kitchen Island. Large stamped colored patio awaits your enjoyment in this lush irrigated back yard landscaping. Enjoy the surround sound system in this luxurious home.Perfectly maintained, just move in and call it home. Large Master Suite with soaking tub, separate shower, double vanity and custom walk-in closet. Plantation shutters through out main level, keep this home looking clean and neat, newly painted with neutral custom colors. Basement is professionally finished very recently, with Radon Mitigation system. Looking for a great location close to the Tech. Center and Cherry Creek State Park? This is it. Offered by Wild Heron Properties.